Well, the last nail may have been hammered into the smoking coffin. Over the years each form of indulgence has been advocated by those hoping to escape the normal health evils of tobacco. No cigarettes? Just chew! No chewing? Just snuff it! No snuffing? Just go to a hookah parlor and enjoy the aromatic herb via glass tubes! 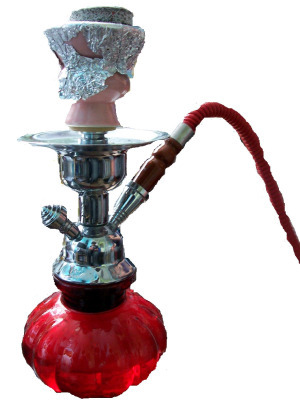 Well, the latest news is that even hookahs, while cooling the smoke, do not remove the nasty harmful chemicals. That's too bad, but in a way it is a triumph for science. Even famous--the most famous--geneticists have occasionally worked for the Tobacco Institute attempting to debunk the overwhelming data on smoking's dangers (see work by our colleague, historian Robert Proctor, who has battled Big Smoke for years to expose their disingenuous claims to safety). RA Fisher, one of the developers of population genetics, statistics, and evolutionary genetics once claimed that there was no evidence against tobacco. This was one of the most infamous instances of someone who had somehow been bought, hoodwinked, or in some other way made themselves believe that the evil weed wasn't. The ingredients in tobacco satisfied the major criteria for cancer causation: they include mutagens that attack DNA. That's why, for example, it is oral and lung cancers that are the main cancer risks of smoking. The exposed tissue experiences somatic (as opposed to inherited) mutation, that transforms some unlucky cell into a tumor progenitor. Other diseases--the majority of smoking-related diseases in fact!--affect various tissues, like the heart, via other biological mechanisms. And smoking is correlated with other behaviors like heavy drinking that have their own health risks. Thus, mechanisms follow what one would expect. There may be some people who inherit genotypes that make them more vulnerable to these effects--that is mutations that, on their own, are only partial cell transformers, so that smoking only has to cause a few more before a tumor cell is generated. But overall, smoking shows in many ways how risk mechanisms, including natural variation in the population, can be genetic and real even if indirect or multiple in nature. In the case of smoking-related diseases, unlike many others, the risks are high and common enough that we can work many of them out. So, it's time to get off the tobacco hook, for anyone who still doubts. Unfortunately, many students, amazingly, still smoke even though they know the awful truth.